CARNOUSTIE, Scotland — Jordan Spieth insists he will be more artist than tactician when he defends his British Open title this week at Carnoustie. The 2017 Champion Golfer enters this year’s tournament amid a patchy run of form since the Masters in April, where he placed third and almost chased down eventual winner Patrick Reed in a phenomenal final round. In his last six tournaments, Spieth has missed two cuts and recorded a highest finish of 21st. Since playing The Travelers Championship last month, Spieth has taken time away from the golf course in a bid to regroup, and the three-time major winner plans to play with plenty of ingenuity this weekend. Asked whether he would be more artist or tactician, Spieth replied: “Probably more artist I would say. “I went through some stuff in my swing. I was striking it beautifully at the Masters, then struggled in New Orleans. “I kind of struggled with overdoing it one way or overdoing it the other — getting away allowed me to come back with different feels. 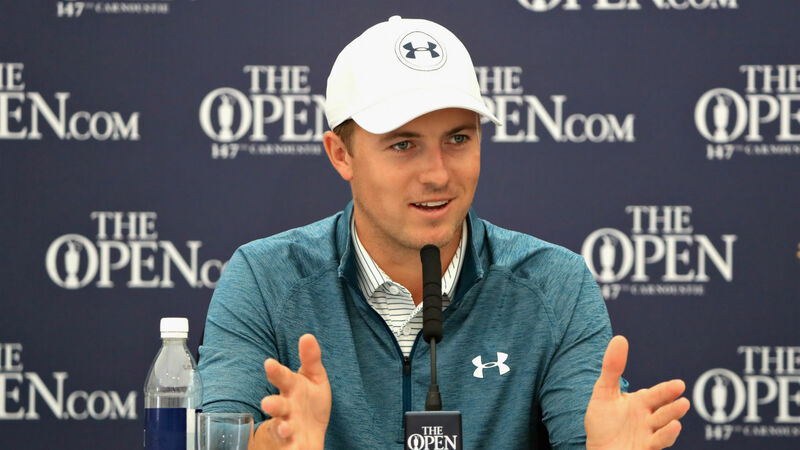 Despite his struggles, Spieth — who won last year’s Open Championship at Royal Birkdale by three shots over Matt Kuchar — remains adamant that his passion for the game has not waned and that his inconsistencies are only acting as a motivator. “Over the last stretch, I didn’t let it get to me off the course but certainly on it,” he added. “If I’m playing bad you can tell, if I’m playing well you can. It was actually fuelling me, I was enjoying the work even though it wasn’t there. “I was leading after Round 1 of Travelers. I caught some breaks that I knew couldn’t necessarily last. I didn’t get ahead of myself, I didn’t get down on myself. I knew there were things that had to be done.